Not sure whether your drains are working to their full potential? Perhaps you have a nasty smell coming from your drains, or you suspect that your waste water is not flowing away very efficiently? There are just a couple of reasons that your drains could require cleaning. Over time, a collection of fat and grease can accumulate in your drains causing the diameter of the drain to decrease and restrict the flow of your waste water and effluent, which over time could result in a blocked drain. 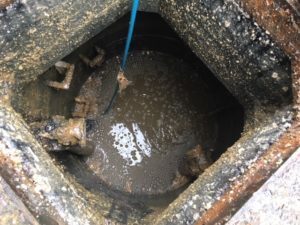 Usually, these types of issues can be easily remedied by performing a high pressure drain jetting operation on your drains to clear and clean any debris. Call our local office now to discuss your requirements in more detail or to arrange a site visit to enable us to provide you with a quotation.